Some people lie as a response to fear, it comes from their natural Fight, Flight or Freeze reaction. People don’t always lie for personal gain. It may be due to fear of what might happen if they don’t. For example: a Husband may lie to his wife: “No dear, those jeans don’t make you look fat.” If he told the truth he may hurt his wife’s feelings or she may be very mad at him and he wants to avoid an argument. For example: a Child may lie to a parent: “No mom, I didn’t give my veggies to the dog.” He or she may be scared of punishment. Lies destroy trust and relationships whether in the workplace, at home and or with friends. For example: An Employee may lie to the boss to cover for a co–worker who stole company stock. For example: a Person may lie to their partner about cheating, spending of family funds etc. People may not realise why their first response when being confronted is to lie. It may be due to a childhood experience/s without realising the impact it has on their current behaviour. For example: When a child lies to avoid punishment and always gets away with it, they may repeat the behaviour as an adult without realising where the reaction originated from. Behaviour, ethics and childhood roots can be identified with certain workplace tools and evaluations. This can be done during a recruitment process prior to employment, during a conflict situation and or dysfunctional behaviour in the workplace. Psychometric evaluations can assist a manager when dealing with behavioural and or performance issues in the workplace. An employee struggles with structure, routine and process? Different types of Psychometrical evaluations would measure different behavioural traits and personality types. The MBTI (Myers-Briggs Type Indicator) is a system of understanding human behaviour. There are 16 distinctly different personality types – all equally valuable, each with their own natural strength and potential weakness. The Organic Scorecard evaluation measures current behaviour and behavioural origin. Psychometric evaluations in general measures capabilities and behavioural style. It can determine suitability for a specific role based on the required personality characteristics and aptitude. It shows aspects that are difficult to see in a face to face interview. There are many different types of Psychometric evaluations. At Uphando we work closely with Industrial Psychologists to ensure that our clients have access to the evaluation type needed to enhance workplace performance, secure work ethics and to ensure labour peace. Good employees who battle to deal with current and past emotional issues. 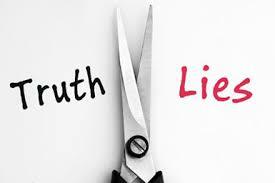 It would be beneficial to an employer to understanding the natural behaviour of their subordinates, why they react in a certain way and why certain members of the team have a tendency to twist the truth (lie). This may save friendships, relationships and jobs due to the “Employer – Employee Trust Relationship” being the most important aspect of any employment contract. If any of the above statements resonate with you kindly visit our website on www.uphando.co.za and follow us on social media and read our blog articles on Polygraph and Voice Stress Analysis. If you are unsure of any of the above contact us directly. Read our next blog series about theft: Who, Why and What and helpful tips to prevent theft.